Whether you have a big bathroom or a small bathroom, it seems there is not always enough space for everything to fit nicely. 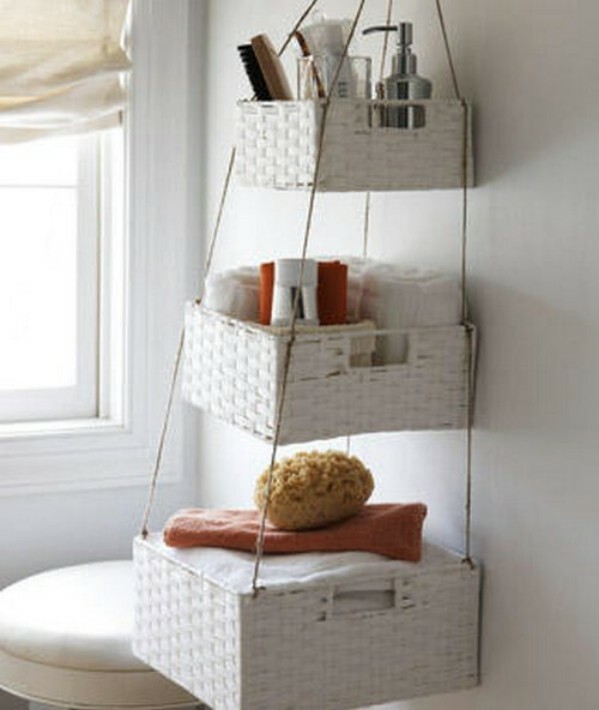 Or maybe things that are kept in the bathroom could use a more eye-catching way of being displayed. 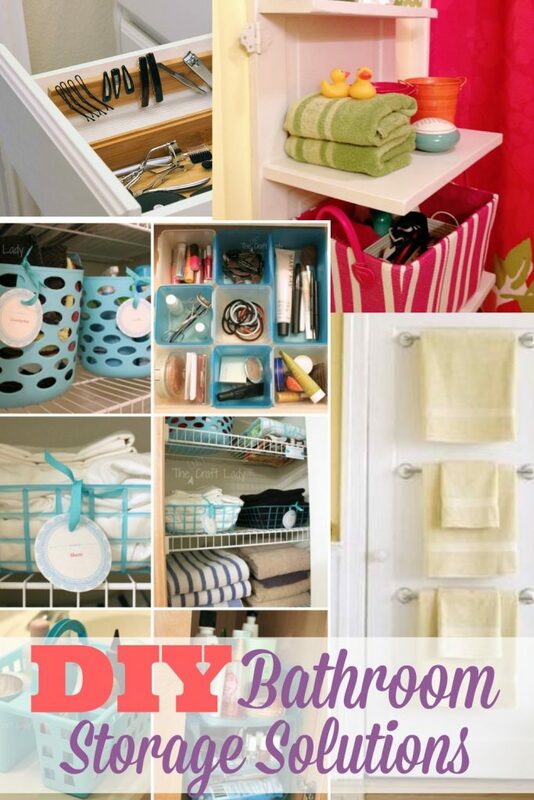 We have a teeny bathroom, so I’m always on the lookout for fun new ideas for organization. 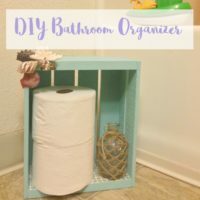 After scouring the internet one day, I compiled all of my favorites into a collection of unique bathroom organization solutions. Check out your local Dollar Store’s products. 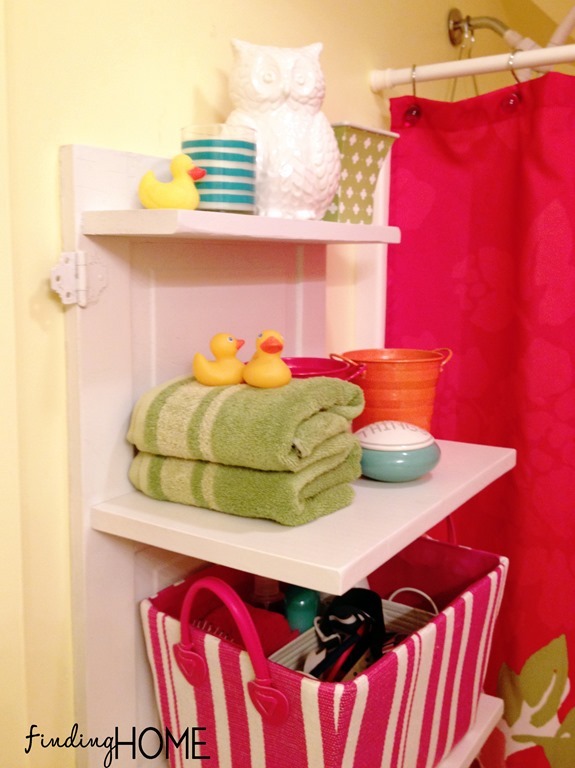 The Crazy Craft Lady used baskets and caddies to create cute, colorful decor. Got clips? 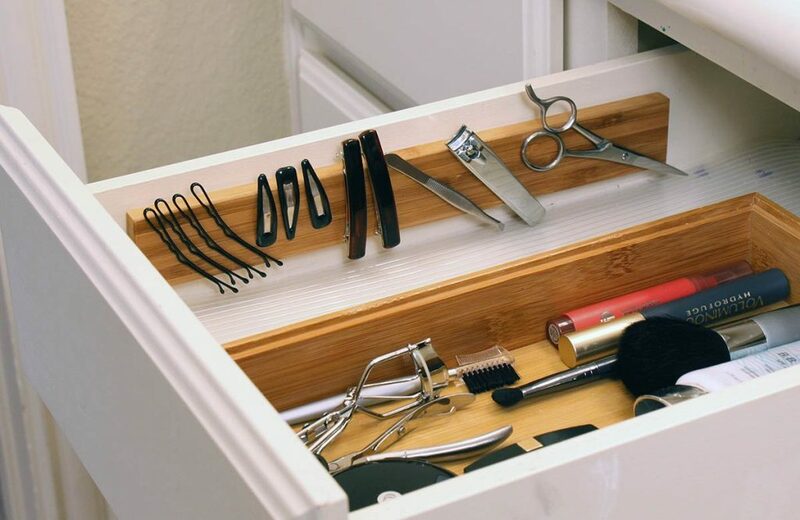 This magnetic vanity keeper holds all those tiny hair thingies, nail clippers and tweezers in one neat and tidy spot! 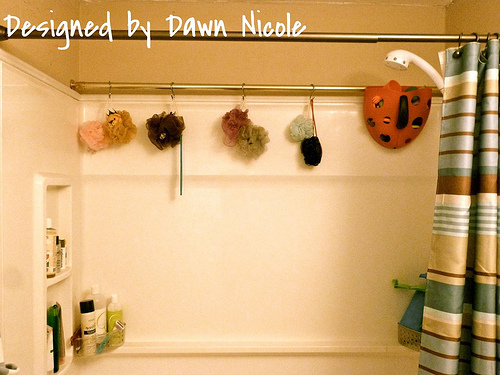 I love this extra shower rod solution for loofahs and baskets of bath toys and shampoos by Dawn Nicole. 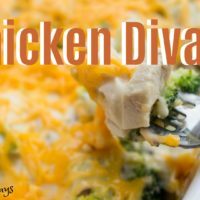 She makes it look super cheap and easy! Finding Home has a super cute tutorial for shelves that are just deep enough to hold hair-accessory-hiding bins. 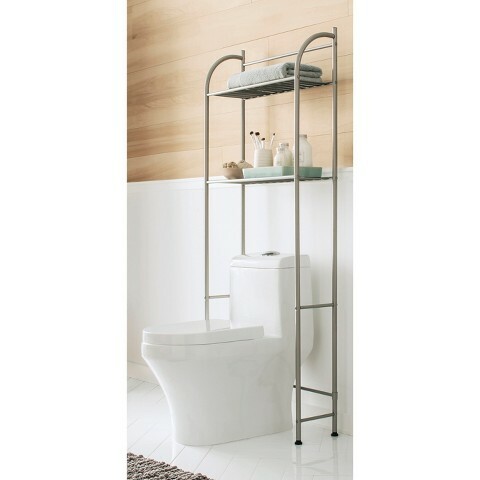 Maximize useable space by adding a storage shelf for over the toilet. These DIY hanging baskets could make an attractive storage solution to a small space bathroom. Id fill the baskets with TP, hand towels, and maybe some pretty flowers at the top. 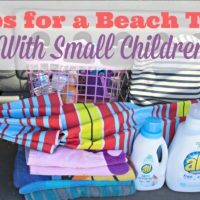 An easy project would be installing a few extra towel racks. With 6 people sharing a bathroom, we often run out of places to hang towels. Donna shares her Christmas decorations in this post but I love the ladder towel rack trick. Could DIY get any easier?! And finally, what about all those appliances? 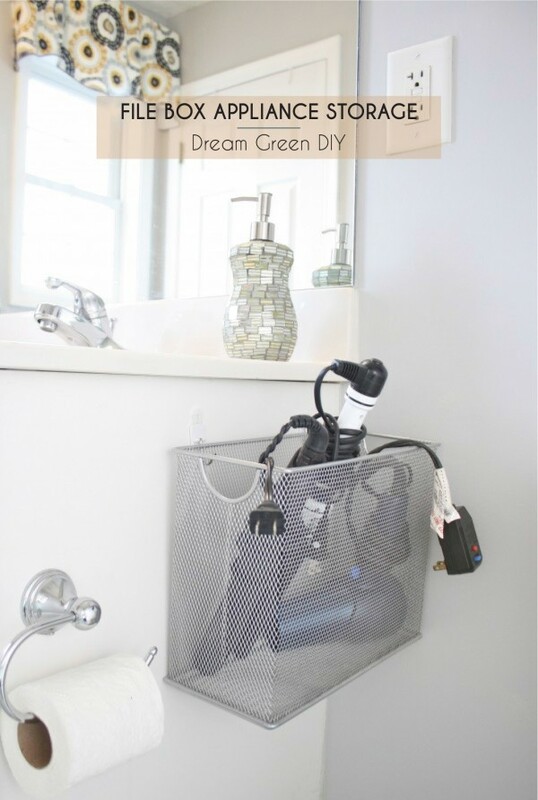 I’ve seen a few different variations of the magazine holder/hair dryer and curling iron storage and this one by Dream Green DIY is my favorite. I never thought about using a metal basket so you can put away a curling iron while it’s still a little hot! 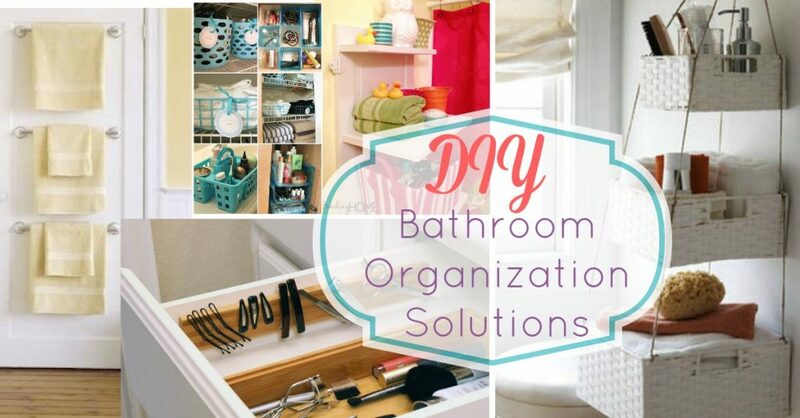 Do you have any favorite bathroom organization solutions? Love some of your ideas, one for holding blow dryer, curling iron and magnet strip to hold some of the little stuff, plus long rod to hold items in the shower. These are great ideas! I am going try the extra rod in the shower to hang stuff on! I love the DIY hanging baskets! Also, speaking from experience, the storage shelf over the toilet is a great way to maximize storage. Organization is a BIG one for me – always trying to find new ideas. I like the hanging baskets – that could be really chic and also do a lot to contain things! 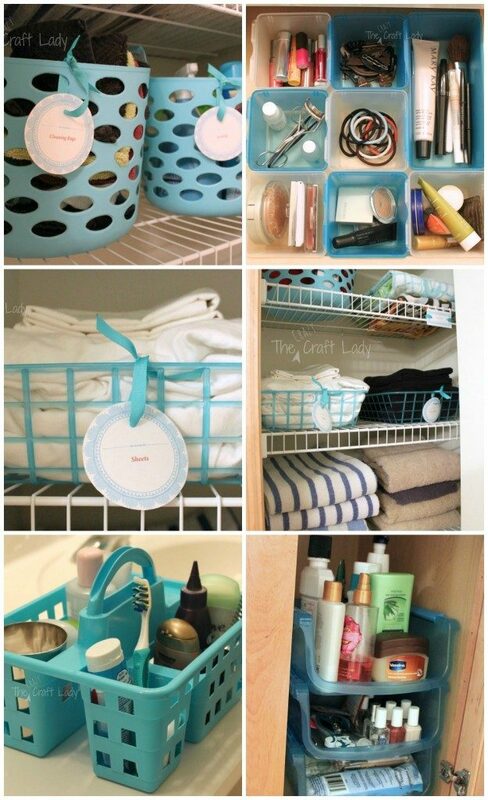 I love a good storage hack. Especially in my tiny bathroom! Can’t wait to try the file box for storage! An organized bathroom makes bathing more relaxing and it’s really nice to look at too! 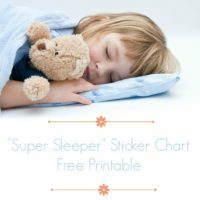 I love these ideas and it’s so nice that you can also DIY! It’s so much more affordable that way. I love those hanging baskets! Though I think I want to change them to getting some 2x4s and drill holes on the ends and have them hanging as shelves! Wow, these tips are fantastic. I was just saying to myself that I need to find a way to declutter my bathroom. I will absolutely be using a few of these ideas. I really need to put these into action. My bathroom is small and gets so disorganized so easily! Oh wow so many awesome ideas. I am loving all the baskets. These are all awesome ideas! Our bathroom has ZERO storage so I may steal a few of these for our space! These are awesome ideas. 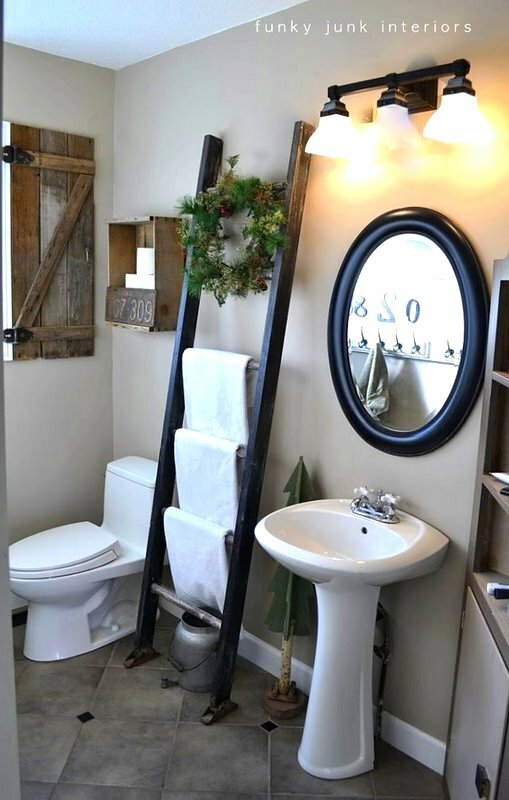 I love the ladder towel rack and the magnetic vanity drawer. Omg what great ideas!!!! I’m loving that magnetic piece of wood to keep your clips all in one place! I need one of those. Hi, Love how everything looks so traditional yet with a modern twist. That kitchen looks so perfect for me! Because I am going to remodel my kitchen next month. Thanks for the sharing this.